Dagmar Schultz was born in Berlin and from 1963 to 1972 studied at the Free University of Berlin, as well as in the United States of America and Puerto Rico, where she also made her first work experience. From 1973 to 1986 she taught “Women’s studies and cultural and immigration issues” at the John F. Kennedy Institute of North American Studies at the Free University of Berlin. 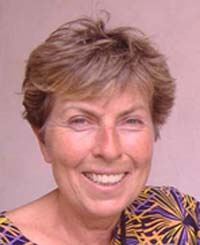 From 1991 to 2004, she was a professor of Social Work at the Alice-Salomon University of Applied Sciences in Berlin. Her teaching and research have focused on feminist studies and women’s movements, on anti-racist social work, on women’s health care and on cultural competence in the psychiatric care of migrants and minorities. In 1974, after her return from the United States, Dagmar Schultz was a co-founder of the Feminist Women’s Health Center in Berlin—the first of its kind in Germany—and worked for the center until 1981. 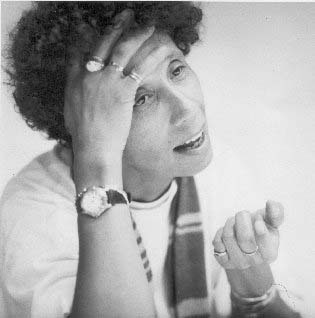 Also in 1974 she co-founded Orlanda Women’s Press and was its (co-) publisher until 2001. Dagmar Schultz first met Lorde at the Women’s World Conference in Copenhagen in 1980. She arranged for Lorde to be invited as a Guest Professor at the John F. Kennedy Institute of North American Studies at the Free University of Berlin in 1984. 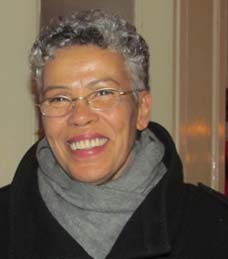 As director of publishing house Orlanda Frauenverlag Schultz edited Macht und Sinnlichkeit Selected texts by Audre Lorde and Adrienne Rich, and introduced these authors to German readers. Orlanda published further works by Audre Lorde including a bilingual edition of 42 poems Lorde selected during her last summer in Berlin (Die Quelle unserer Macht). Recently she was awarded the Margherita-von-Brentano-Price 2011 for work which furthers the equal rights of women in academia. The funds of the award contribute to the production of the film Audre Lorde –The Berlin Years 1984 to 1992 and to the establishment of an Audre Lorde Archive at the Free University of Berlin. In her autobiographical novel Invisible Woman: Growing Up Black in Germany Ika Hügel-Marshall writes about her life as a daughter of a Black officer from the United States army and a white German woman after World War II. As an “occupation baby,” born in a small German town in 1947, Ika has a double stigma: Not only has she been born out of wedlock, but she is also Black. Despite the institutionalized racism, Ika overcomes these hurdles, and finally, when she is in her forties, she locates her father with the help of a good friend and discovers that she has a loving family in Chicago. The English translation of the book was originally published by Continuum International Publishers in 2001 and was republished in a new annotated edition by Peter Lang Publishing, Inc. in July 2008. Ika Hügel-Marshall has a degree in social pedagogics and she is a lecturer. 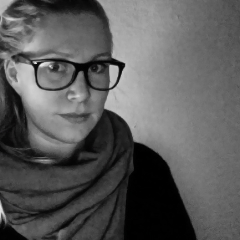 Is a freelancing film-editor based in Berlin. She has been working on various projects for TV and cinema as well as on music videos, image-films and commercials.